A Division Bench of Delhi Court Today has declared that the scheme of the provisions of the Finance Act 1994 (FA), do not permit the Directorate General of Central Excise Intelligence (DGCEI) or for that matter the Service Tax Department (ST Department) to by-pass the procedure as set out in Section 73A (3) and (4) of the FA before going ahead with the arrest of a person under Sections 90 and 91 of the Finance Act. The Bench has termed the arrest of Mr. MK Pallai, Vice President of MakeMyTrip (India) Private Limited (MMT) contrary to law and it violated his constitutional and fundamental rights under Article 21 of the Constitution. A Division Bench of Justices Dr.S.Muralidhar and Vibhu Bakhru was hearing writ petitions, by MakeMyTrip (India) Private Limited (MMT) and IBIBO Group Private Limited (IBIBO) operating on-line platforms/web portals, which involved important questions relating to the powers of the Directorate General of Central Excise Intelligence (DGCEI) of arrest, investigation and assessment of service tax under the provisions of the Finance Act, 1994. According to Directorate General of Central Excise Intelligence (DGCEI) the Petitioners violated various provisions of the Finance Act by and deliberately committed evasion of service tax on their part, warranting initiation of the coercive measure of arrest of their respective officials. Mr. M.K. Pallai, VicePresident (Finance) of MMT, was arrested on 8th January 2016. Searches were undertaken of the premises of IBIBO 2016 on 13th January, 2016. A sum of Rs. Rs. 15.33 crores was paid by MMT towards 'admitted' service tax dues and a further sum of Rs. 25 crores was paid in terms during and after the bail proceedings. It is in the above background the Court has examined the scope of powers of search of DGCEI under Section 82 of the FA, and power of arrest and of taking coercive measures for recovery of service tax dues in terms of Section 91 of the FA, without resorting to the issuance of a show cause notice (SCN) under Sections 73 or 73A of the Finance Act. (i) The scheme of the provisions of the Finance Act 1994 (FA), do not permit the DGCEI or for that matter the Service Tax Department (ST Department) to by-pass the procedure as set out in Section 73A (3) and (4) of the FA before going ahead with the arrest of a person under Sections 90 and 91 of the FA. The power of arrest is to be used with great circumspection and not casually. It is not to be straightway presumed by the DGCEI, without following the procedure under Section 73A (3) and (4) of the FA, that a person has collected service tax and retained such amount without depositing it to the credit of the Central Government. (ii) Where an assessee has been regularly filing service tax returns which have been accepted by the ST Department or which in any event have been examined by it, as in the case of the two Petitioners, without commencement of the process of adjudication of penalty under Section 83 A of the FA, another agency like the DGCEI cannot without an SCN or enquiry straightway go ahead to make an arrest merely on the suspicion of evasion of service tax or failure to deposit service tax that has been collected. Section 83 A of the FA which provides for adjudication of penalty provision mandates that there must be in the first place a determination that a person is "liable to a penalty", which cannot happen till there is in the first place a determination in terms of Section 72 or 73 or 73 A of the FA. (iii) For a Central Excise officer or an officer of the DGCEI duly empowered and authorised in that behalf to be satisfied that a person has committed an offence under Section 89 (1) (d) of the FA, it would require an enquiry to be conducted by giving an opportunity to the person sought to be arrested to explain the materials and circumstances gathered against such person, which according to the officer points to the commission of an offence. Specific to Section 89 (1) (d) of the FA, it has to be determined with some degree of certainty that a person has collected service tax but has failed to pay the amount so collected to the Central Government beyond the period of six months from the date on which such payment is due and further that the amount exceeds Rs. 50 lakhs (now enhanced to Rs. 1 crore). (iv) A possible exception could be where a person is shown to be a habitual evader of service tax. Such person would have to be one who has not filed a service tax return for a continuous length of time, who has a history of repeated defaults for which there have been fines, penalties imposed and prosecutions launched etc. That history can be gleaned only from past records of the ST Department. In such instances, it might be possible to justify resorting to the coercive provisions straightaway, but then the notes on file must offer a convincing justification for resorting to that extreme measure. (v) The decision to arrest a person must not be taken on whimsical grounds; it must be based on ‗credible material‘. The constitutional safeguards laid out in D K. Basu's case in the context of the powers of police officers under the Cr PC and of officers of central excise, customs and enforcement directorates, are applicable to the exercise of powers under the FA in equal measure. An officer whether of the Central Excise department or another agency like the DGCEI, authorised to exercise powers under the CE Act and/or the FA will have to be conscious of the constitutional limitations on the exercise of such power. (vi) In the case of MMT, without even an SCN being issued and without there being any determination of the amount of service tax arrears, the resort to the extreme coercive measure of arrest followed by the detention of Mr. Pallai was impermissible in law. (vii) In terms of CBEC's own procedures, for the launch of prosecution there has to be a determination that a person is a habitual offender. There is no such determination in any of these cases. There cannot be a habitual offender if there is no discussion by the DGCEI with the ST Department regarding the history of such Assessee. Assuming that, for whatever reasons, if the DGCEI does not talk to ST Department, certainly it needs to access the service tax record of such Assessee. Without even requisitioning that record, it could not have been possible for the DGCEI to arrive at a reasonable conclusion whether there was a deliberate attempt of evading payment of service tax. In the case of MMT, the decision to go in for the extreme step of arrest without issuing an SCN under Section 73 or 73A (3) of the FA, appears to be totally unwarranted. (viii) For the exercise of powers of search under Section 82 of the FA, (i) an opinion has to be formed by the Joint Commissioner or Additional Commissioner or other officers notified by the Board that ―any documents or books or things‖ which are useful for or relevant for any proceedings under this Chapter are secreted in any place, and (ii) the note preceding the search of a premises has to specify the above requirement of the law. The search of the premises of the two Petitioners is in clear violation of the mandate of Section 82 of the FA. It is unconstitutional and legally unsustainable. (ix) The Court is unable to accept that payment by the two Petitioners of alleged service tax arrears was voluntary. Consequently, the amount that was paid by the Petitioners as a result of the search of their premises by the DGCEI, without an adjudication much less an SCN, is required to be returned to them forthwith. (x) It was imperative for the DGCEI to first check whether the entity whose employees are sought to be arrested has regularly been filing service tax returns or is a habitual offender in that regard. It is only after checking the entire records and seeking clarification where necessary, that the investigating agency can possibly come to a conclusion that Section 89 (1) (d) is attracted. None of the above safeguards were observed in the present case. The DGCEI acted with undue haste and in a reckless manner. 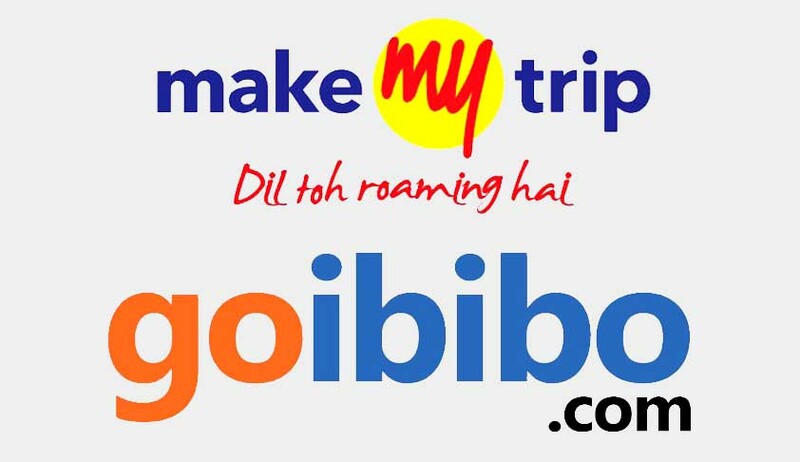 (xi) Liberty is granted to the officials of MMT and IBIBO to institute appropriate proceedings in accordance with law against the officers of the DGCEI in which the supplementary affidavits filed in these proceedings and the replies thereto can be relied on. This holds good for the officials of the DGCEI as well when called upon to defend those proceedings in accordance with law. (xii) The Court cannot decline to exercise its jurisdiction and clarify the legal position as regards the interpretation of the scope and ambit of the powers under Sections 89, 90 and 91 of the FA. This is clearly within the powers of this Court. That is why this Court has decided to proceed with these petitions notwithstanding that the criminal petitions may be pending in the criminal jurisdiction of this Court. (xiii) The Court is satisfied that in the present case the action of the DGCEI in proceeding to arrest Mr. Pallai, Vice-President of MMT, was contrary to law and that Mr. Pallai‘s constitutional and fundamental rights under Article 21 of the Constitution have been violated. The Court is conscious that Mr. Pallai has instituted separate proceedings for quashing of the criminal case and, therefore, this Court does not propose to deal with that aspect of the matter. The Bench has also directed the DGCEI the respective amounts deposited by the petitioners towards alleged dues of service tax forthwith and in any event not later than four weeks from today.